Often, access to the different functions of the computer user needs the administrator account. If you set a password on it is very important to know that if he were to forget, then restoration it is not subject. However, there is a way to bypass the password entry at login to the admin using reset it. skills confident user of the computer. When the computer boots press F8 or any other that will allow you to access the menu options of the operating system (may depend on motherboard model). Select login in safe mode Windows. In the list of admin users log on with the account that is not password protected or the password which you are aware. When load desktop operating system, a dialog box appears stating that windows will continue to work in safe mode, click OK. Open menu start, control panel, and go to the account settings of the users computer. Locate the user accounts of the computer, the password you want to reset. Select change password in the window that appears, enter a new password. Repeat the entry for confirmation, leaving the field "Old password" without any changes. Click on the "Change password". Close all open your computer window and restart the system in normal mode. Try to login Windows as the desired account by entering the new password. Try to change password using Net User. To do this, select it in the list of boot options safe mode with command prompt. Select login under the user account where the password is absent or known to you. On the screen a window will appear where the command interpreter of the operating system, enter the user name and password, press Enter. In user name specify the account name, the second line is the new password you want to use to log in. Enter Exit at the command prompt and press Enter. Restart the system in normal mode and login with administrator account with the new password. Set a memorable password on the account. 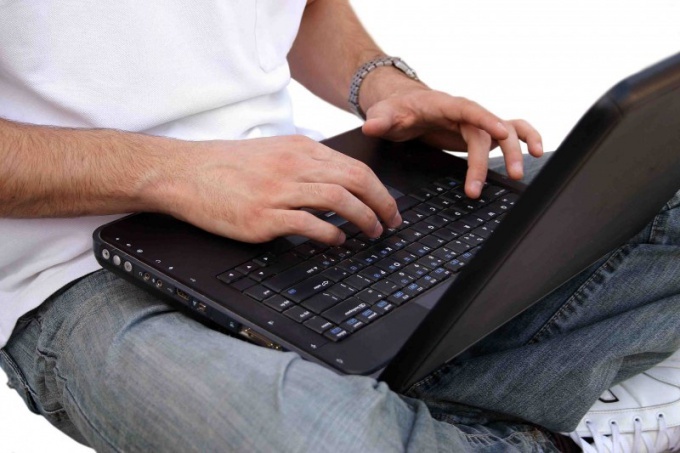 The vast majority of users will sooner or later face the problem of obtaining access to your own computer or laptop. Forget your password , everyone can. In such cases, decided either to bypass the security system to gain access to the operating system or the entire computer, or delete the password for the same purpose. In the case of the Windows operating system to make it relatively easy, knowing the algorithm the required operations to restore access. 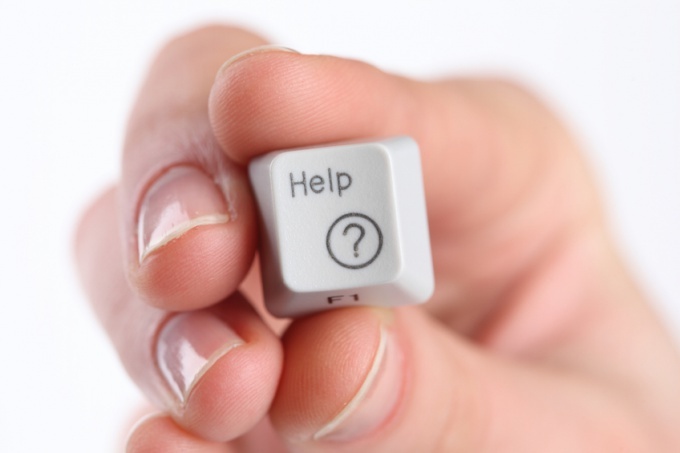 To begin, consider the situation when the password window appears immediately after turning on the computer before completion of booting the operating system. This so-called Supervisor Password, preventing third party access to the entire computer, including the BIOS settings. If you know this password, enter it and press Del to enter the BIOS. Find the menu associated with computer protection, click Change Password, enter your password, and the next two lines leave blank. This will allow you to disable Supervisor Password. If this password is unknown, the only way to remove it is to disassemble the computer. Remove the left cover of the system unit by removing a few screws. For this you will need Phillips screwdriver medium size. Carefully read the inside of the computer unit and locate the small battery in the form of a washer. Remove it from the slot. Find the two contacts, which align and lock with the same screwdriver. Install the battery in place, close the unit cover and turn on the computer. The above method allows a manual way to reset the BIOS to factory settings. Now consider the case when you want to access directly to the operating system. The method described below is suitable only for the operating systems Windows XP and earlier versions. Restart the computer and press F8 and a screen will appear with options to continue to download. Select "Windows Safe mode". Wait for a while until the boot operating system and will be prompted to select a login user. Find the account named "Administrator" and log it into the system. Go to account management, located in control panel. Go to the menu "Manage another account". Select the name of the user you want to access the system. Select "Remove the password" and click "Uninstall". Restart the computer by selecting the start Windows normally". In comparison with earlier versions of the operating systems Windows XP and Windows 2000 have improved safety features. 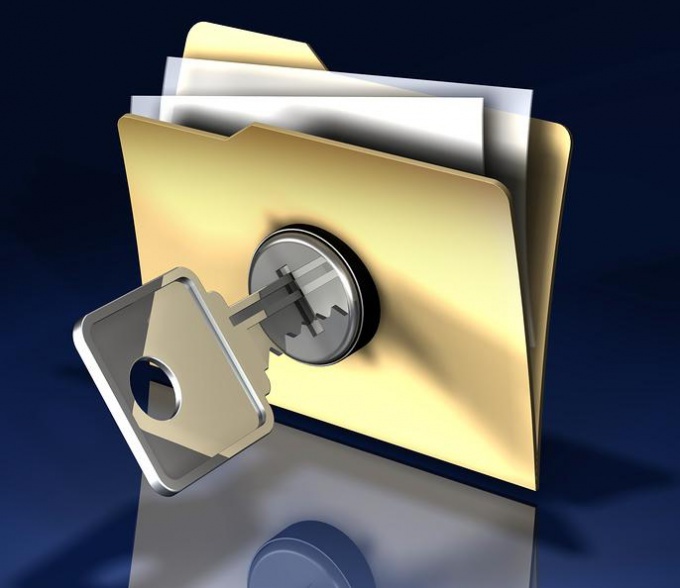 The password system they have is perfectly located for doing business, because it does not allow for the stored information by an unauthorized person. But sometimes the user loses the right to access to your computer. This happens when forgotten an important password. The oldest and most effective way to protect your computer is the BIOS password. But reliable it is provided that the user does not have access to the system unit. To remove the password, you must reset the current BIOS settings. A memory that stores the BIOS settings (CMOS) can be cleaned with a special jumper. Usually it is located on the motherboard near the battery. But do not be amiss to look into the manual of the motherboard, as sometimes the boards the jumper and replace the two pins. To reset CMOS, they need to be close with a screwdriver or other metal object. If you still have the jumper, turn the computer off, place the jumper so that it closes the contacts of the jumper. Now press the power button. Don't worry, when you find that the computer began to boot. All CMOS setup has dropped, it remains to remove the jumper and turn the computer on again. Press "F1" in the BIOS menu, after making the necessary settings, or leaving the default settings, click on "Save and exit". After this happens the normal startup of the computer, but without the BIOS password. 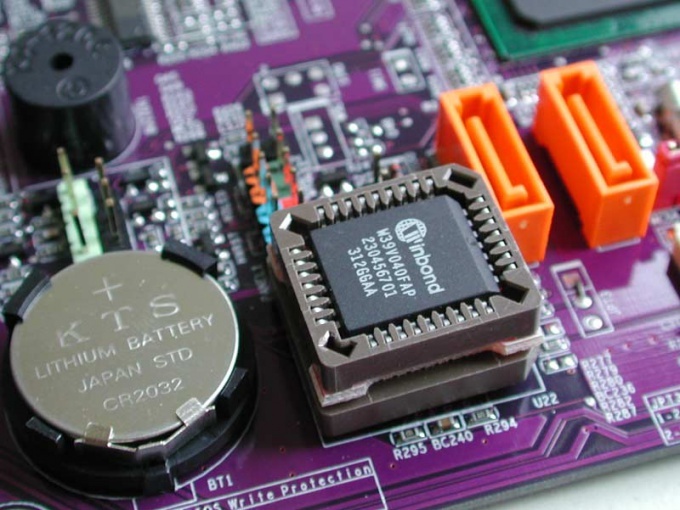 If you can not find the jumper, then try to find a battery which powers the CMOS. Turning off the computer, remove the battery. Put it back after 10 minutes and turn on the computer. Will be restored the default settings and the password will be missing. In addition to the password of users in Windows have a password mailboxes, access to websites, password, Internet connection and many others. Because of so many passwords, some of them may forget, but not every one of us writes them down. Then there is the task - to read the password, which is submitted to us in the form of stars. Come to the aid of a special program, which aimed to solve this problem. The most convenient to use program Asterisk Key. It is distributed freely. This program analyzes the passwords hidden behind asterisks and gives you. Install the program. String with the password, highlight, then press "recover". Ready. But what if you forget the user password? If the computer whose password is forgotten, standalone or in a workgroup, check the hint for the password, which is located next to the field to enter the password on the welcome screen. If the hint did not help, then log in as administrator and create a new password. Typically, logging on to the operating system without entering a password administrator using guest account. When working with some Windows OS, you can get full access to the system, without resorting to hacking accounts. 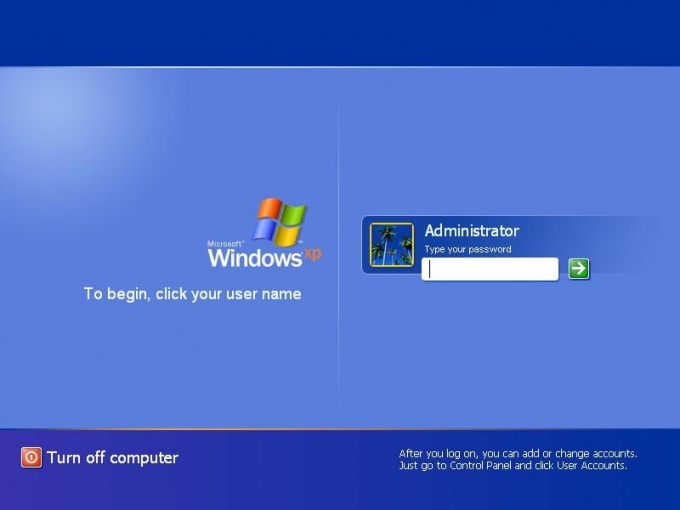 If you forgot the password to the administrator account in Windows XP, create a new account. To do this, restart the computerby pressing the Reset button. Dirty shutdown is required for the menu fixes the problem. After opening this menu, select "Windows Safe mode". Press Enter and select any of the available options to start safe mode operating system. Wait for a while until a menu appears select account sign-in. Way among other standard accounts account name "Administrator". Likely to enter the system using this account do not need to enter a password. Log in to Windows and wait for the download desktop. Press "start" and select "control Panel". Go to "user Accounts". After opening a new window, click "create an account". Enter a name for the new account and click Next. In the "Select account type" activate the item "Administrator" and click "Next". Enter your password twice for this account. Click "Finish". Now you can restart your computer and log in using your new account. If you don't want to create a new account, just disable the password for the user. For this, the menu "user Accounts" select "Change account". Select the desired account. Now click "Remove password" and confirm this procedure. Click "start" and select "turn Off computer". Click "Restart". Wait for the operating system to start Windows normally. Log in to the OS using available account. To enter the operating system Windows, you must have the password. However, there are cases when users forget their data, and then can't start working with the computer. It is believed that in such a situation, it remains only to delete the old OS and install the new one, but in fact it is possible to act differently. - installation CD of Windows. Users who have dealt with the installation of this operating system will immediately tell you that in the BIOS you need to switch to removable hard disk. In this case, it will start booting from that disk. You will be prompted to select a language setting, click the bottom "Next" button. Then click on "system Restore", again "Next" and finally select the "Command prompt". In the opened command prompt, enter regedit, press Enter. Then you will see the registry editor. In the list of topics, click the folder Lokal_Machine. Go to the menu called "File", select "Upload". Now navigate to the drive on which you installed your operating system (for example, drive C). Then navigate to Windows, System32, config and System. As soon as you see the window "Load hive", enter in the empty field a name for the section. It can be anything and contain even digits. Now go to local_machineимя разделаSetup. Then click on the CmdLine parameter, enter a value cmd.exe click OK. Do the same with SetupType, don't forget to change the 0 to 2. Select the partition you created, and then go to the file menu and select the line "Unload hive". After this operation, remove the installation disc, close the command prompt and the registry editor. Window recovery options, click restart. After turning the computer on the screen will appear command prompt window. To reset the previous password, use this command: net user user name new password (between words, make sure to insert a space). Its implementation confirm by pressing Enter. You can close the command prompt window and log into the system. If you forget the name of the account itself, then the net user command without specify the other parameters. This will allow you to see a list of all available records.